Laundromats or laundrettes in Croatia are a rarity as most Croatians have their own washing machines. That's good for the standard of living in Croatia but can be a hassle for travellers who like that fresh & clean look. If you stay in a Croatian hotel, chances are you can hand your laundry over to the front desk (or have it collected) and pick it up the following day. Make sure to deposit your laundry early in the day before the cleaning staff leaves. Hotels provide reliable laundry service but it can cost a small fortune. Usually they charge by the item with socks being the cheapest and frilly blouses the most expensive. Sometimes I've thought about simply buying new underwear. It would be cheaper! If you stay in a hostel or private accommodation the laundry bill is much more reasonable. Hostels usually give you access to a washing machine and a line to hang out your laundry. 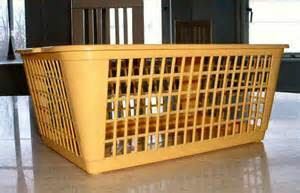 In private accommodation, you can arrange with your landlady to do a load of laundry which is priced by the kilo. Very often, she will iron it as well. You can also wash out your own laundry in the hotel sink but make sure to bring a drain plug with you. Often sinks don't come with workable plugs (to make you pay the hotel to do your laundry?). Dry-cleaning service is available in major cities at a reasonable cost. Ask at your hotel.